In the latest action regarding a probe into eBook price fixing, the US Department of Justice (USDOJ) is preparing to file an antitrust lawsuit against Apple as soon as tomorrow, according to sources quoted by Reuters. The sources, which are said to be “familiar with the matter,” also told Reuters that the USDOJ may reach an out-of-court settlement with several publishers that were also targets of the probe. We first reported on the eBook price fixing probe back in December. Both the USDOJ and the European Union were looking into the way that Apple and five international publishers: Hachette Livre, Harper Collins, Simon & Schuster, Penguin, and Macmillan Publishers, may have come to an agreement that, in effect, restricted pricing competition. 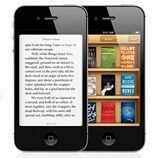 The agreement put the publishers in charge of setting the retail price of eBooks, with Apple receiving a 30% commission. As part of the deal, the publishers agreed that if another retailer (think ‘Amazon’) was selling a particular ebook at a lower price, Apple could sell it at that lower price well. Before this, Amazon purchased eBooks at a wholesale price and set their own retail price. They might set the price at full retail when demand was high, take a loss on it to move inventory, or maybe even have it as a loss leader. But after the agreement with Apple was penned, many publishers required Amazon to use the same model to sell their books, so that Amazon could not undercut Apple’s prices, which would cause the publisher to have to lower theirs. This assured, in effect, that prices would be the same (or some might say ‘fixed’) across all sales platforms, whether Apple, Amazon, or anyplace else. It’s been reported that Apple has been in talks with the USDOJ, but the talks broke down. We’ll be keeping a close eye on this one here at CP – this case has the potential to have a major effect on the future of eBook shopping. This afternoon the US Department of Justice, along with several states, filed a suit against Apple and several major book publishers. “”We believe that consumers paid millions of dollars more for some of the most popular titles,” said US Attorney General Eric Holder.